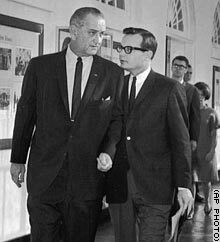 In the summer of 1960 I was an assistant to Donald “Duke” Norberg, the Chairman of the Iowa Democratic Party. I, therefore, witnessed the run-up in Iowa to the national Democratic Party’s July 1960 convention in Los Angeles. Before the convention Senators John F. Kennedy and Lyndon B. Johnson were the leading contestants for the Party’s presidential nomination. On June 19th LBJ and his wife, Lady Bird Johnson, came to Des Moines to woo the Iowa convention delegates. 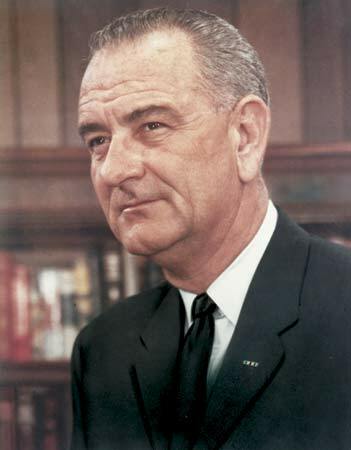 At a luncheon at the Hotel Fort Des Moines, LBJ emphasized the need for dynamic national leadership. 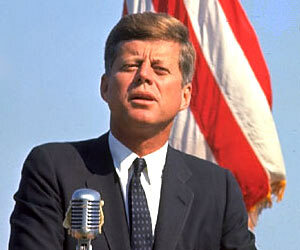 He said that religion was not an issue whereas it undoubtedly was because Kennedy was Roman Catholic. Johnson then implicitly contradicted his own point by noting that he was accompanied by some of his Texas supporters; one, he said, was a Methodist, one an Episcopalian, one a Jew and one a Roman Catholic who had been knighted by Pope Pius XII. Johnson stressed that the U.S. had lost friends in the world as well as military power and that the president had to make foreign policy decisions. In an implicit criticism of Kennedy who recently had said that at the May 1960 U.S.-U.S.S.R. summit meeting President Eisenhower should have apologized to Khrushchev for the then recent U.S. U-2 spy plane’s flight over the Soviet Union that the Soviets had shot down, LBJ said that the U.S. should not have apologized. Such an apology, Johnson said, was not in line with what America stood for. Before the luncheon, Mrs. Johnson worked the room. She visited people at different tables and asked if they knew some of the Johnson’s friends from their various home towns. This was a demonstration of the Johnson campaign’s good organization. 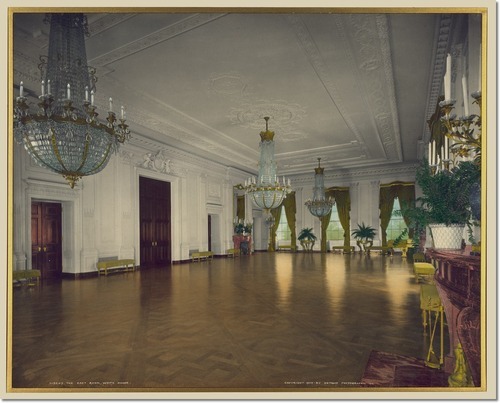 The following day I drove one of Johnson’s assistants, Cliff Carter, to visit some of the Iowa delegates who could not make the luncheon. Carter asserted that although Kennedy was leading in national delegate support, he would fade on the third ballot after a high of 640 while LBJ would gain strength so that by the third ballot he would have over 800 delegates to win the nomination. In the November election, JFK and LBJ won the national popular vote by 113,000 votes over Richard Nixon and Henry Cabot Lodge out of a total vote of 68,831,000. In Iowa, however, Nixon/Lodge won with 56.7% of the vote; Kennedy/Johnson only carried six of the 99 counties in the state. This experience before my senior year at Grinnell College was financed by its Program in Practical Politics. From June 1966 through April 1970, I was a Wall Street lawyer. I was an associate attorney with the law firm of Cravath, Swaine & Moore. Its offices then were on the 56th through 58th floors of the Chase Manhattan Bank Building one block from the New York Stock Exchange on Wall Street. From my office window I could see the New York Harbor and the Statue of Liberty. Cravath then was considered a large law firm with approximately 100 lawyers, as I recall. Its system was to hire top graduates of the top law schools and to put them in a “class” of their contemporaries to compete for one of the very few partnership slots after seven or so years. I decided to join Cravath after a summer clerkship in 1965 that I had enjoyed. The firm was regarded as the crème de la crème of law firms. Its starting salary of $9,000 ($62,235 in current Dollars) was the best. Living in New York City sounded exciting. The practice of some Wall Street lawyers becoming high government officials was an alluring dream that I hoped to fulfill. For example, John Foster Dulles was such a lawyer with another firm who became Secretary of State in the Eisenhower Administration, and Roswell Gilpatric was a Cravath partner when I was there who had been Deputy Secretary of Defense in the Kennedy Administration. While I was at Cravath, it jumped the starting pay of its lawyers to $15,000 ($95,550 in current Dollars). This was such startling news that it was covered by the Wall Street Journal. Those of us who already were associates received a similar bump in pay. My wife and I thought we were rich and moved from our Brooklyn Heights apartment to the first two floors of a row home several blocks away. I was in Cravath’s litigation department or group. I initially was assigned to Partner John R. Hupper, who was an excellent, careful, kind man and an excellent teacher and mentor for young lawyers. I also worked for other equally capable partners, including Thomas D. Barr, Frederick A. O. “Fritz” Schwarz, Jr. of the toy store family and Albert R. Connelly. The senior partner of the group, Bruce Bromley, who was called “Judge” Bromley because of his service in the New York courts, was another capable lawyer for whom I worked. Much to my subsequent regret I did not know at the time that Bromley was instrumental in the Eisenhower Administration’s selection of Joseph Welch to be the Army’s lawyer in the 1954 McCarthy hearings. Given my personal interest in Welch, which will be discussed in a subsequent post, I would have loved to have talked with Bromley about this important piece of U.S. history. The more senior associates really did a lot of the supervision of the newer lawyers. I fondly remember some of them: Eugene P. Souther, who later became a partner in another Wall Street law firm; Victor M. Earle, III, who became the first general counsel of one of the big accounting firms (Peat Marwick); Robert E. Bouma, who became a partner in a Chicago law firm; Dorsey D. “Dan” Ellis, Jr., who became a law professor at the University of Iowa and then Dean of the Law School at the University of Washington at St. Louis; George J. Wade, who became a partner in another Wall Street law firm; and Alan J. Hruska, who became a Cravath partner. I got along with the other young associates in the litigation group even though we all knew we were in competition with one another. Since I was there only four years, however, the real competition started after I left. My best friends and contemporaries were Jay Gerber and Arnold Messing, who later were successful lawyers with other firms in New York City and Boston respectively, along with Howard J. Kristol, who became a partner in a Wilmington, Delaware law firm, and David S. Cupps, a subsequent partner in a Columbus, Ohio law firm. Another contemporary in the litigation group was David Boies, who later became a famous Cravath partner who defended CBS in a libel case by General Westmoreland regarding the Vietnam War. Some of his other famous cases were as the U.S. Government lawyer who destroyed the credibility of Bill Gates in cross-examination in the Microsoft antitrust case and as the lead lawyer for Al Gore in the litigation against George W. Bush over the 2000 election in Florida. The New York Times Sunday Magazine in June 1986 put David’s photo on its cover for its lead article about him, “The Litigator.” My wife and I were guests of David and his wife in their Washington Square apartment on the night in 1969 that Neil Armstrong walked on the moon. I was always amazed that David was able to combine the stressful life of the young associate with teaching antitrust law at N.Y.U. Law School and having season’s tickets to the Metropolitan Opera. On a trip to Minneapolis for a pretrial conference in the IBM antitrust cases, David, several other associates and I gathered in one of our hotel rooms for cards and room-service dinner. To my surprise, David ordered two dinners; he was never overweight or heavy, and I assumed that his metabolism rate was so high that he needed super quantities of food. David is still going strong. As the lead partner now in his own law firm, he recently was in St. Paul, Minnesota as the lead lawyer for the NFL in litigation over the football teams owners’ work stoppage. There were two notable cases that claimed my attention in New York that will be discussed in subsequent posts. One was Adam Clayton Powell, Jr.’s lawsuit over his 1967 exclusion from the U.S. House of Representatives. The other was the set of antitrust cases against IBM over its System/360 computers. Being a Wall Street lawyer for four years was challenging and exciting. So too was living in New York City with a wife and two young sons. I value those years, but am still glad that I decided against staying for the competition for partnership at Cravath and instead chose to move to Minneapolis to practice law with Faegre & Benson. Cravath, Swaine & Moore LLP, http://www.cravath.com/; Cravath, Swaine & Moore, http://en.wikipedia.org/wiki/Cravath,_Swaine_%26_Moore. Boies, Schiller & Flexner LLP, http://www.bsfllp.com/lawyers/data/0001; David Boies, http://en.wikipedia.org/wiki/David_Boies.